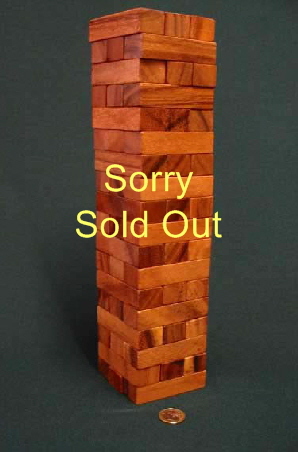 A larger than normal version of this very popular tower building game. Fast becoming the most widely played game today. 18 storeys tall it’s made up of 54 blocks each 20 mm thick. Supplied with a PVC sleeve former. Instructions included. Dimensions 75 x 75 x 360 mm.